There are seven State Qualifiers returning in the Class 4 Girls Shot put, including four State Medalists. The top returners is Kaitlyn Burson of Willard. 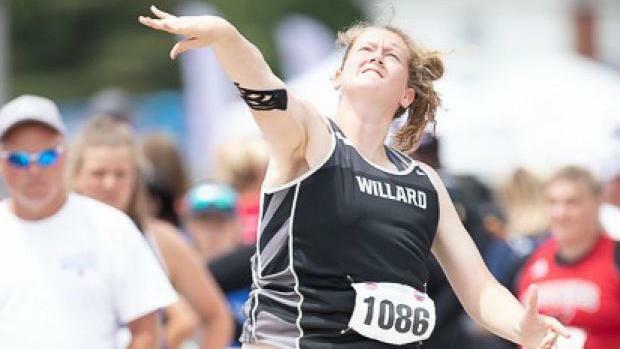 Willard has been a throwing powerhouse as of late, and she is further proof of this. Burson was the forth place finisher last year at State, and returns with the farthest throw in Class 4 from last year with a 41-4. The other returning medalists who seek to also top the podium next year are Tea'ia Jackson of Clayton (38-9.5, 5th).Octavia Duncan of Webb City (41-0.5, 6th), and Adrianna Minner of Westminster (39-0, 7th). Below you can find my subjective rankings and honorable mentions in the Class 4 Girls Shot Put.